Edinburgh-based wholefoods store Jordan Valley has been forced to issue a recall affecting a staggering 23 of its products, after it came to light that the products contain soya – a fact which is not listed on the label. The recall applies to all above products with a ‘use by’ date up to and including 18th February 2017, in all pack sizes. No other Jordan Valley Wholefoods products are known to be affected. 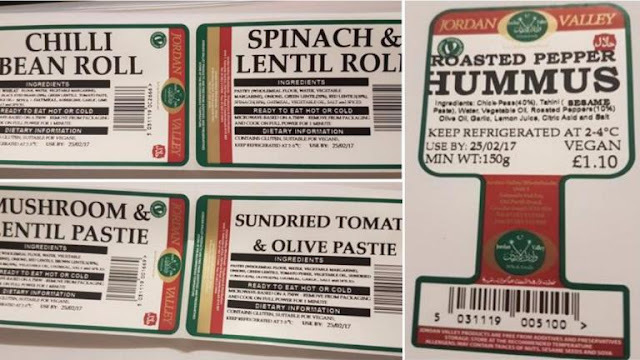 Jordan Valley Wholefoods has issued point-of-sale notices to inform customers of the recall and advise them of what to do if they have purchased any of the affected products. They have also been advised to contact the relevant allergy support organisation, who will then pass the information on to their members. Food Standards Scotland is advising that anyone who suffers from a soya allergy and has bought one or more of the products should not eat it, and instead return to the store from which is was purchased for a full refund.